RT @1789chefdan: We are grateful & humbled by the sacrifices of all our veterans. Service members: present military ID to receive 50% off your meal today. 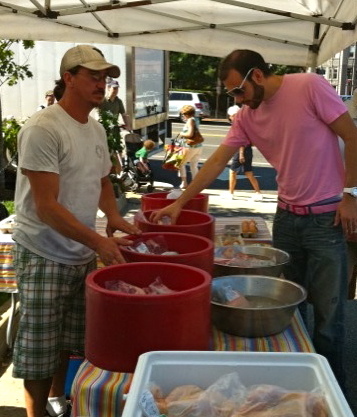 shopping at the Dupont Circle Farmers Market. I've tasted the magic the team at 1789 creates at a few cooking classes (past posts), and this is a fantastic deal. If you know a veteran or are one, get to 1789 today and prepare to be wowed. Any other DC restaurants doing deals for veterans? Leave em in the comments or tweet them my way at @floridagirlindc. MORE INFO: Make a reservation at 1789 on Open Table. 1789 Restaurant is located at 1226 36th Street, NW in Georgetown.